“Walls is,” fortunately, “unafraid to dis- cuss difficult things,” said Jay Parini in the Times Literary Supplement (U.K.). 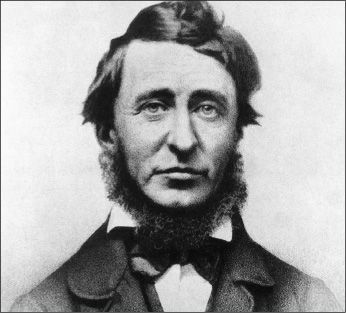 Thoreau lived a life short on adventure: After a Concord childhood and an apprenticeship at his father’s pencil factory, he studied at Harvard, then returned to live and work in Concord, where his bond with Ralph Waldo Emerson offered him a surrogate family and a springboard to a life of letters. Given the limited outward drama, “it’s essential that any biographer should seek the contours of his inward journey,” and Walls jumps right in. She lightly speculates, by way of explaining Thoreau’s sometimes monkish detachment, that he was gay. More importantly, she closely tracks his moods: how his work as a surveyor brought him pride but also guilt about the forests he was helping to raze, or how his devotion grew to the work he poured into the private journals he kept from age 20 until his death at 44.